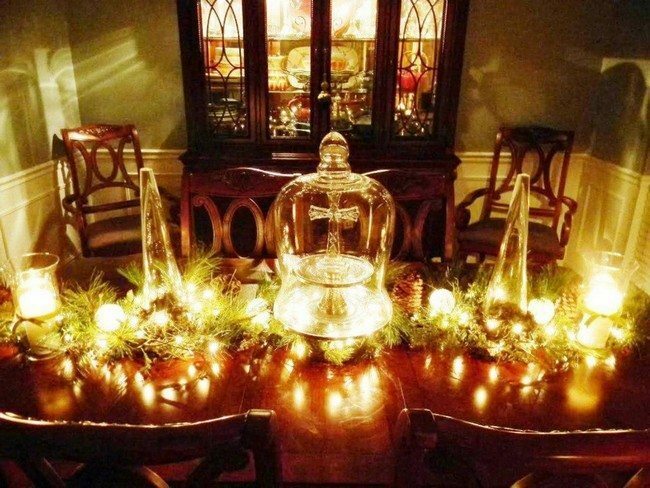 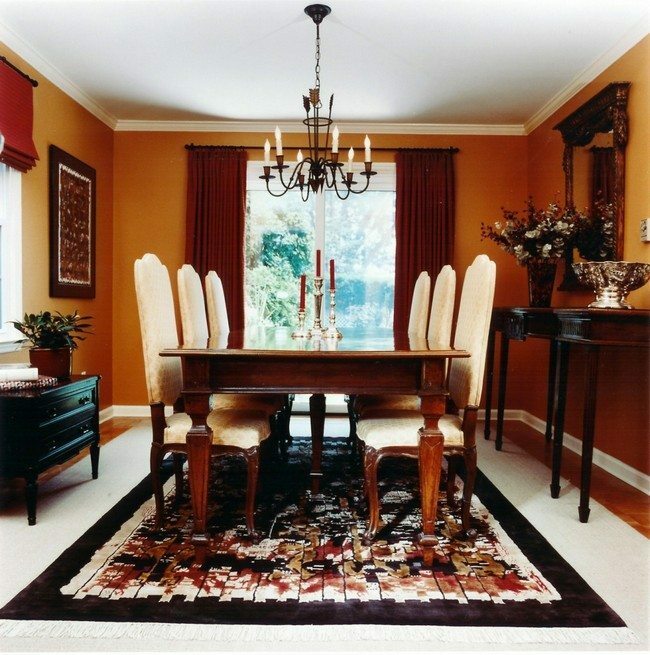 Glass chandeliers are common in formal dining rooms. 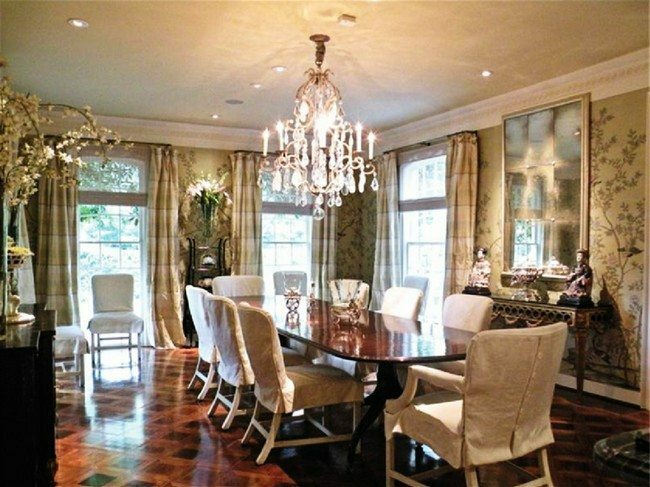 In most cases, overhead glass chandeliers hanging above the dining table. 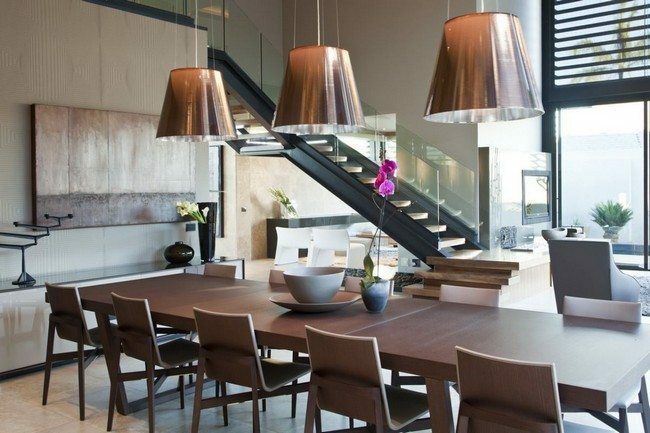 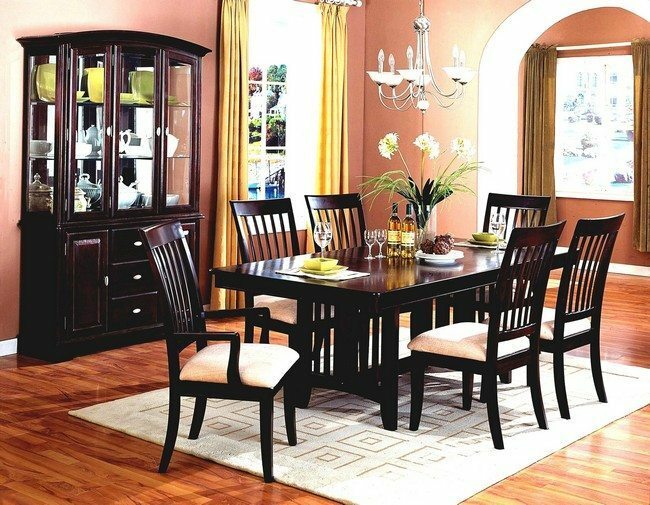 The long dining table in this room and the neat design of the chairs creates an organized and formal look. 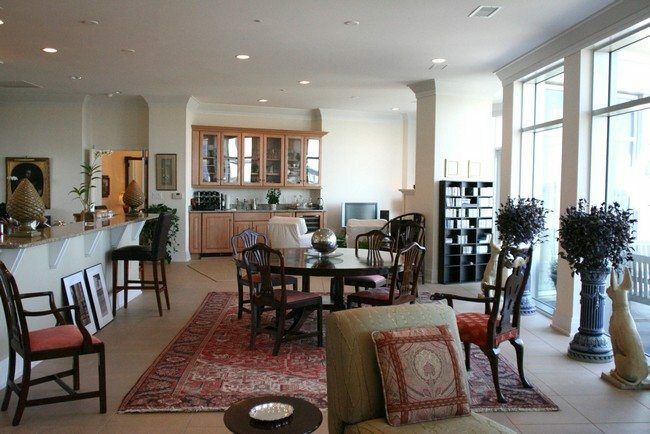 The large windows help light up the room by providing ample natural lighting. 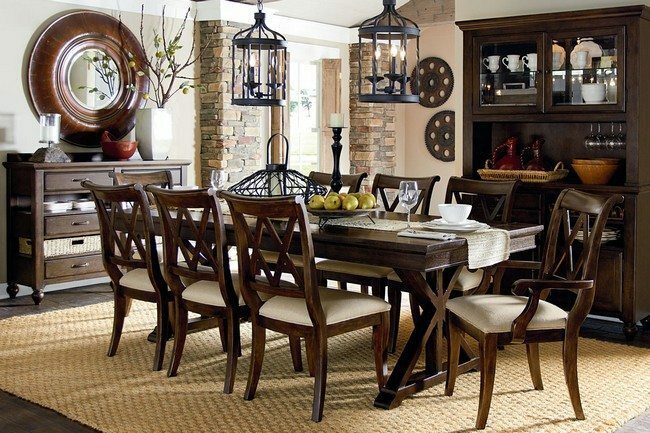 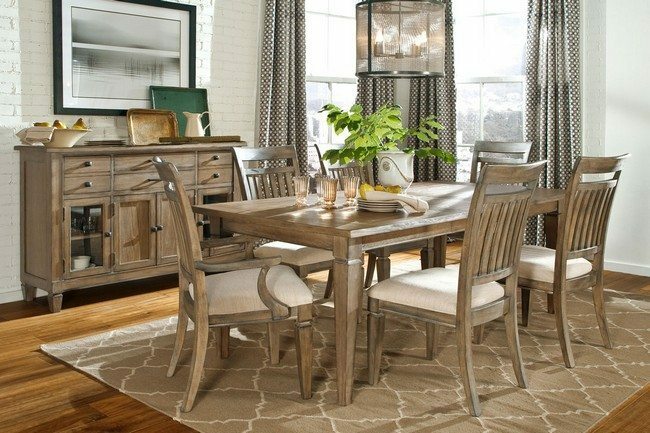 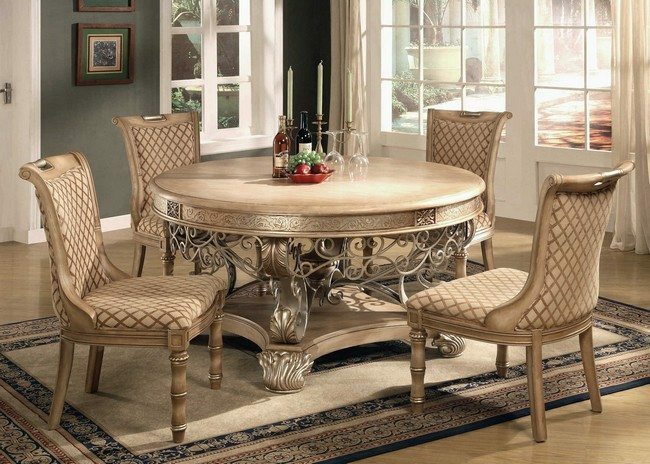 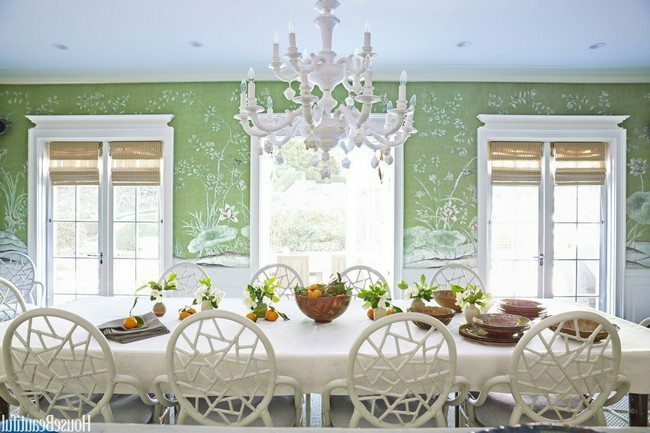 This dining room makes use of a round bistro table instead of the traditional rectangular dining table. 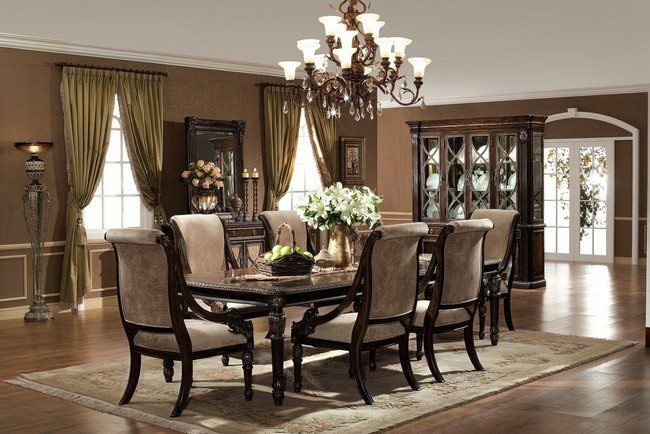 The design used for the chairs, matched with the design of the chairs, creates an elegant royal look. 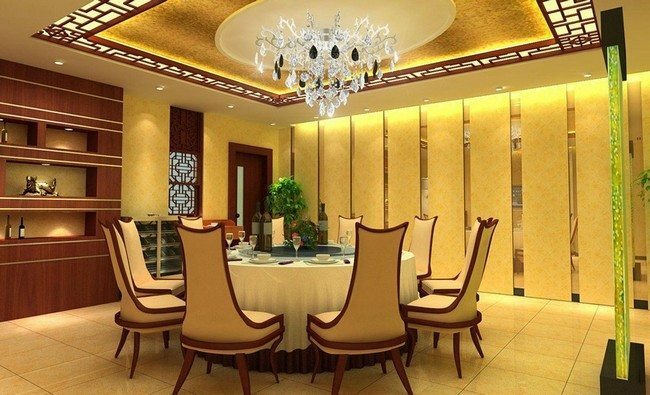 The wallpaper helps tone down the highly formal look of this dining room, creating a relaxing environment. 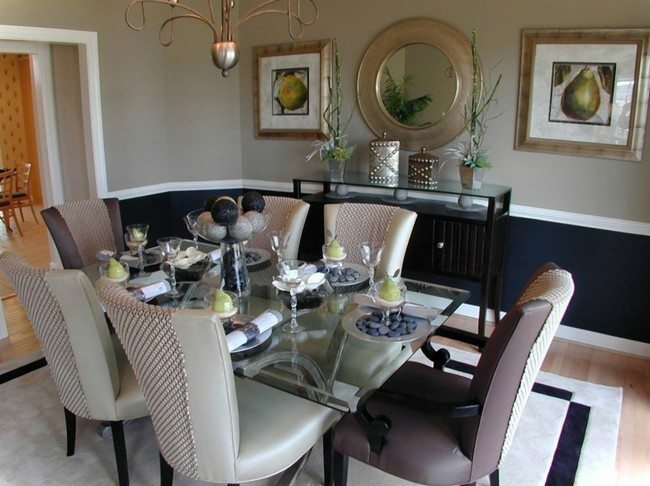 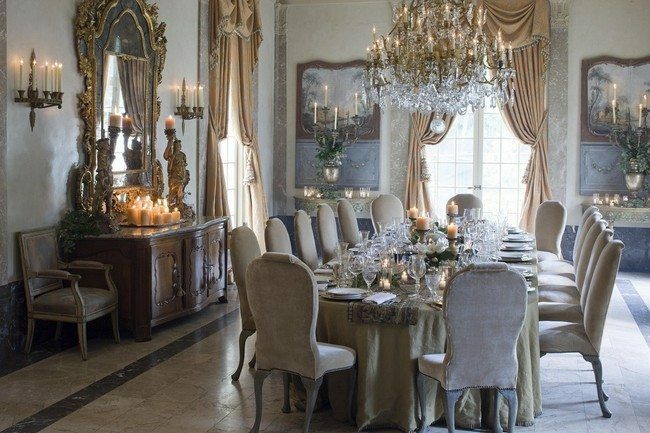 A formal dining room also looks beautiful when dark tones and light hues are combined. 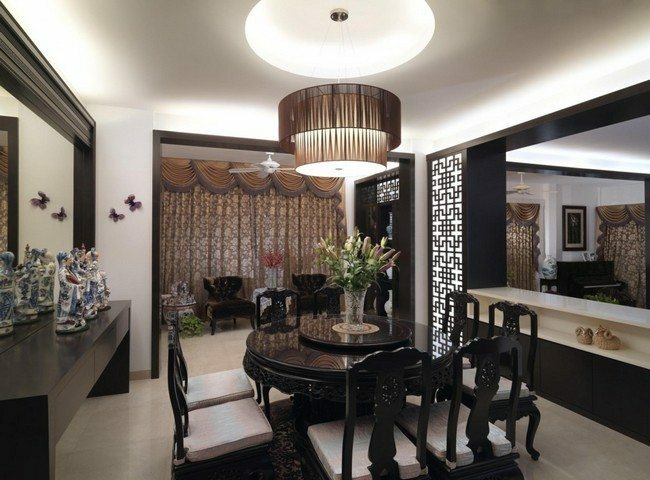 The white ceiling contrasts perfectly with the grey walls and black furniture. 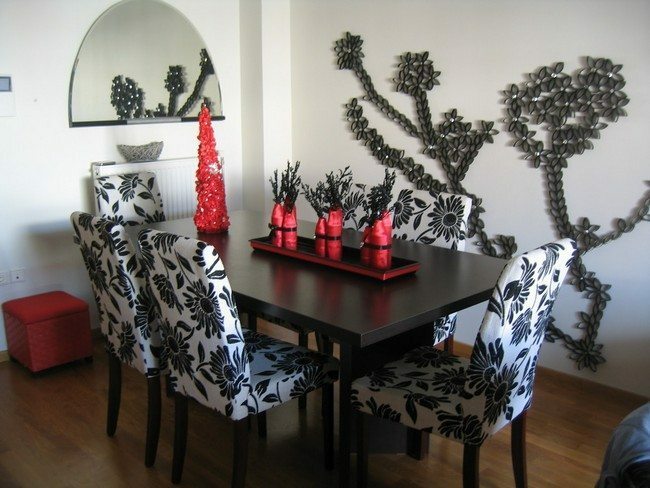 One section of the wall also comes in fancy black and white patterns, adding elegance to the room. 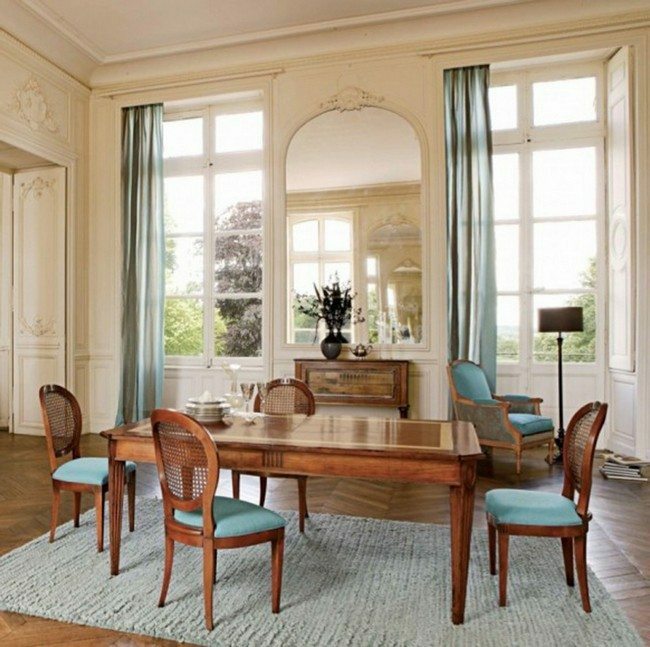 The blue color of the upholstery on the chairs and the blue rug brighten up the room by adding a touch of color. 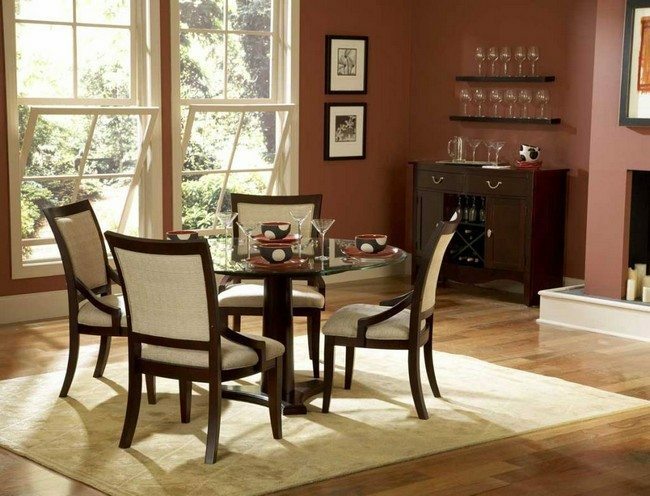 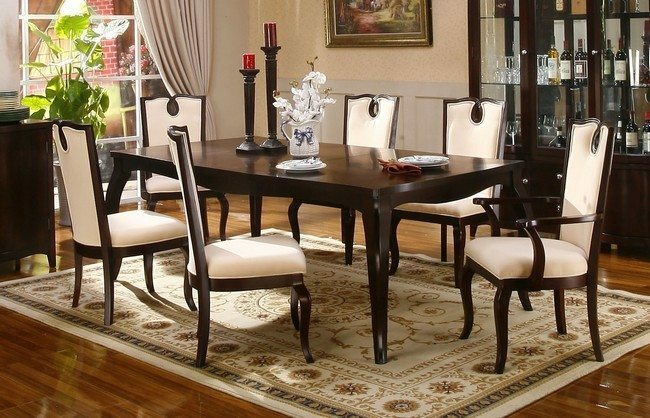 The white upholstery gives this dining room a formal and classy touch. 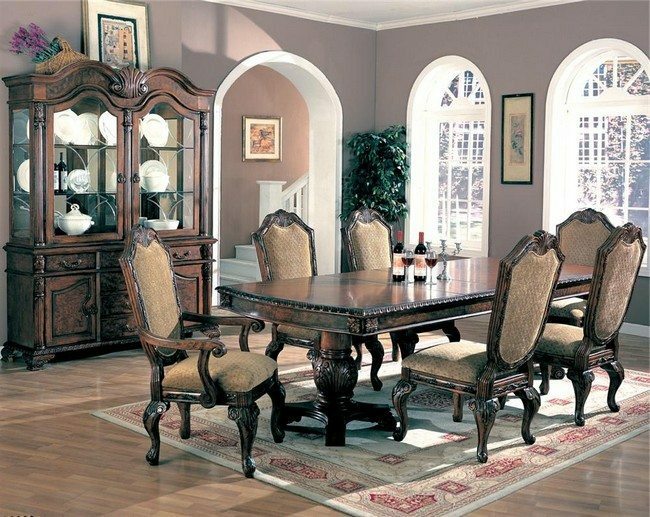 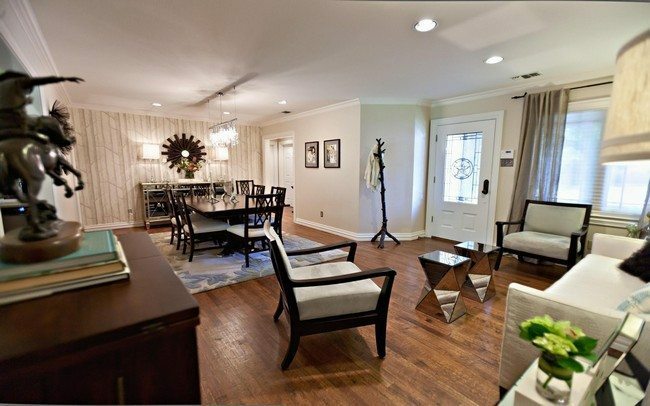 This dining room utilizes archways to give it a formal and elegant look. 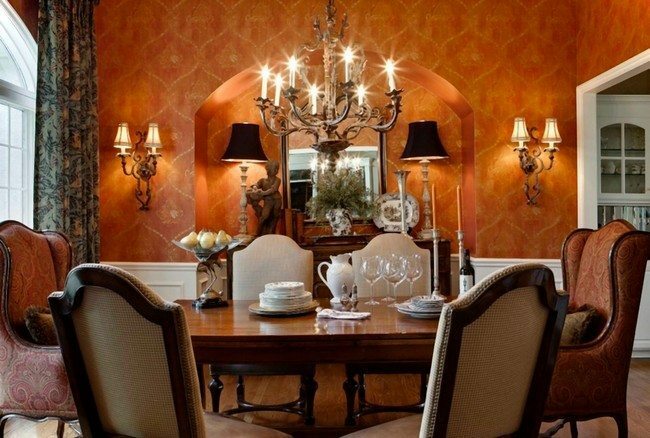 An archway has been used instead of a door, offering continuity to the room. 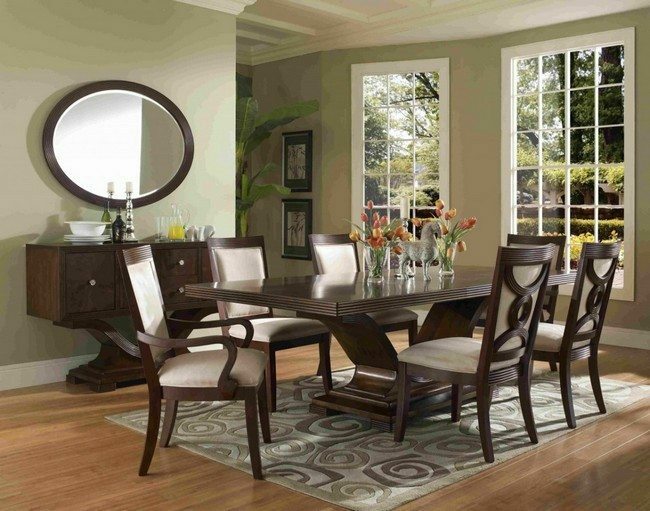 The windows are also arch-shaped, giving it an interesting design. 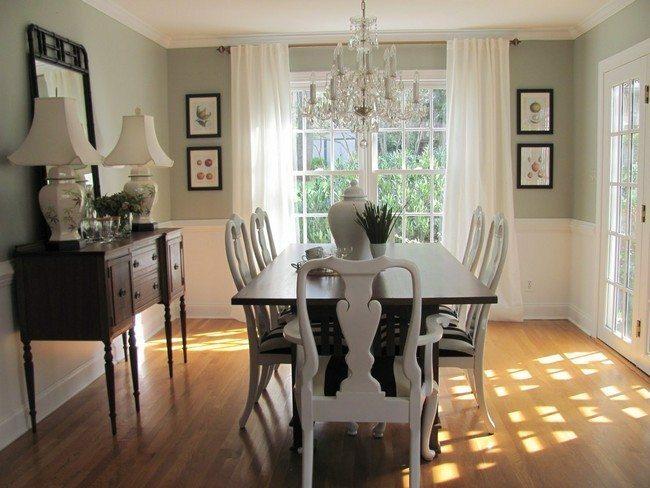 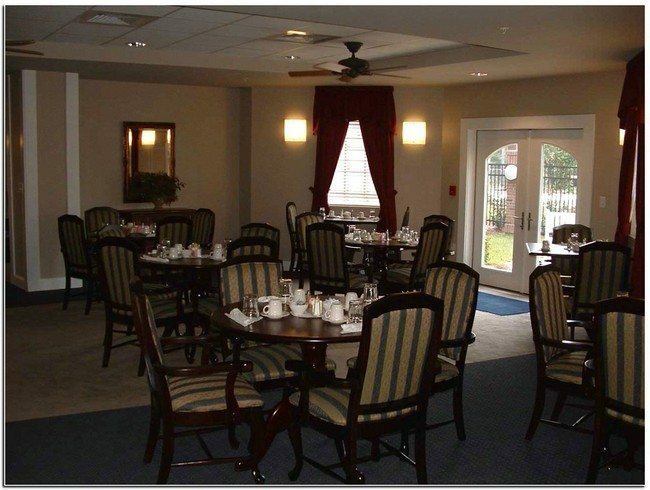 They have been painted white, making the dining room appear brighter. 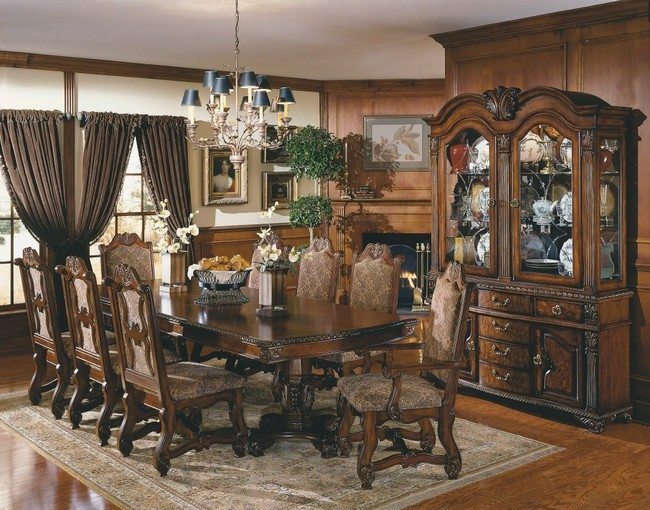 The antique-style furniture gives this room a classic touch. 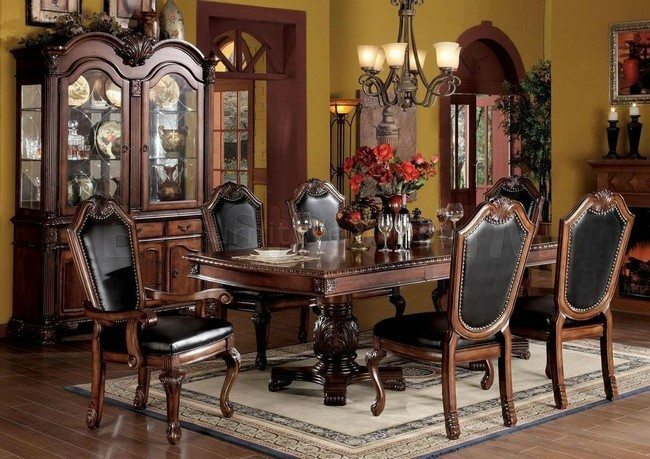 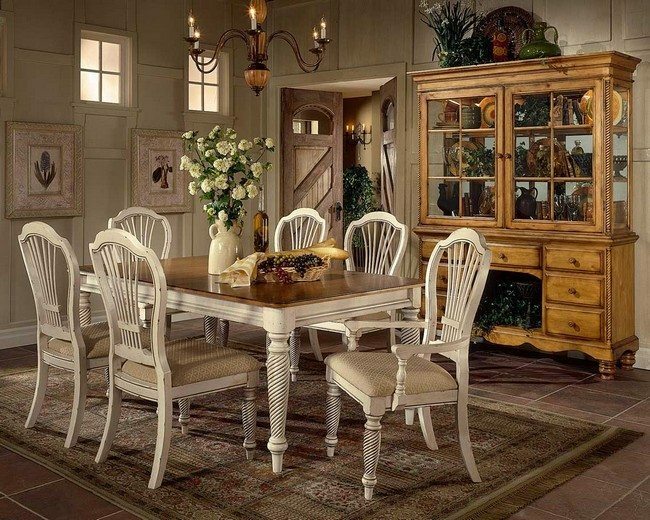 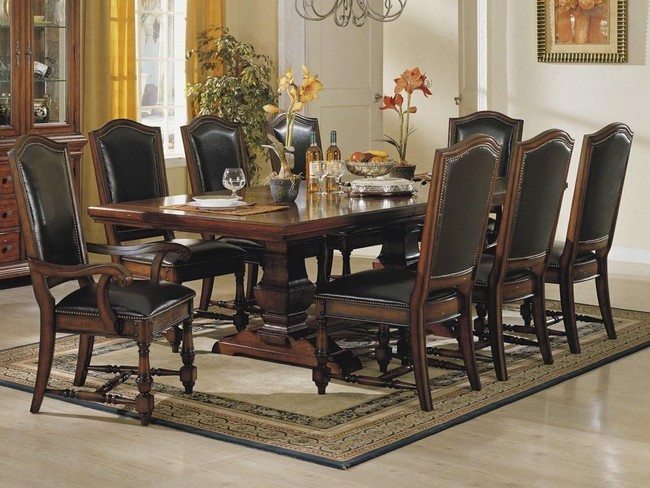 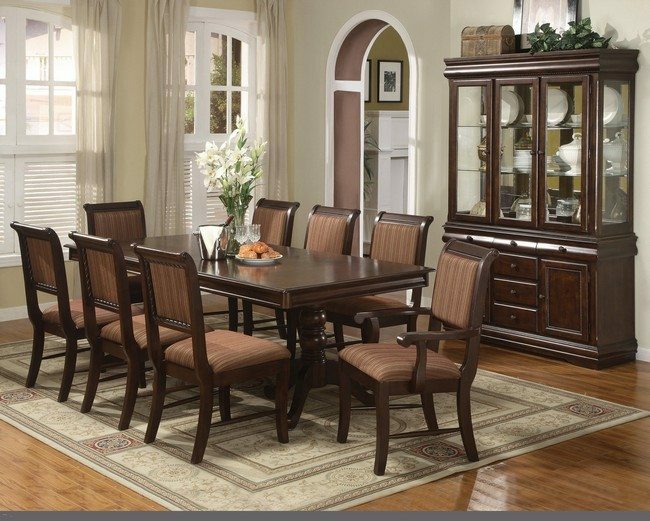 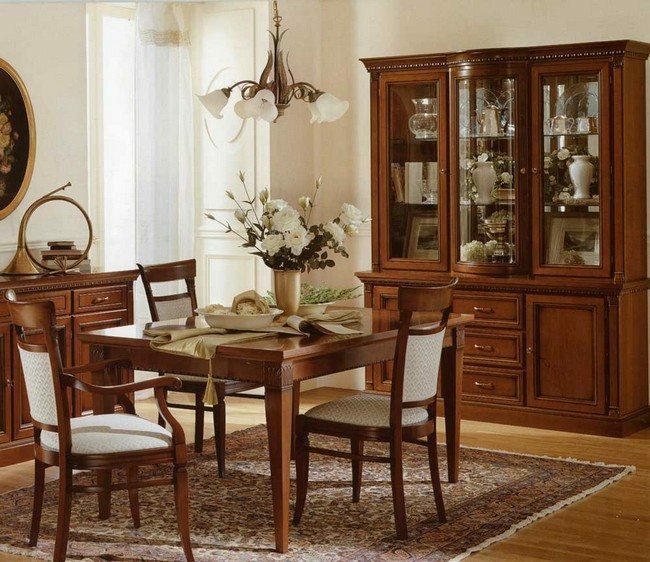 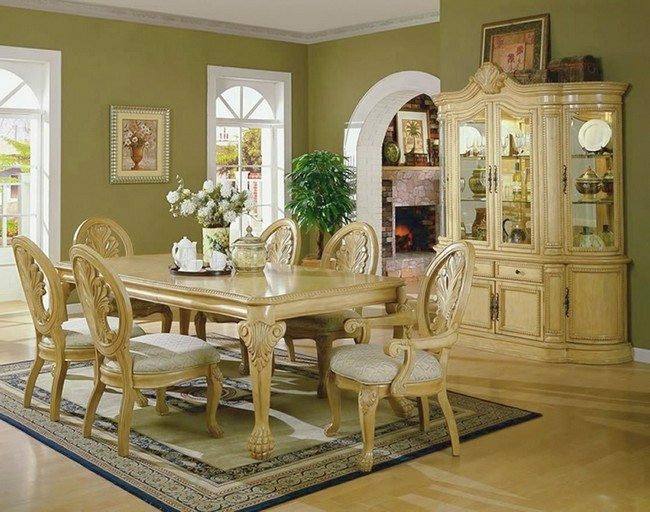 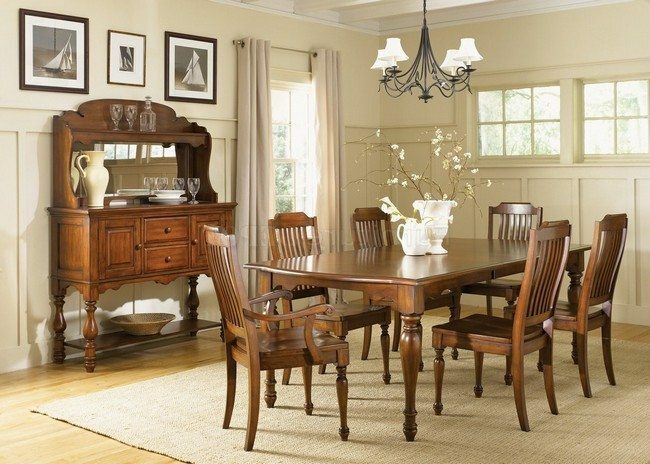 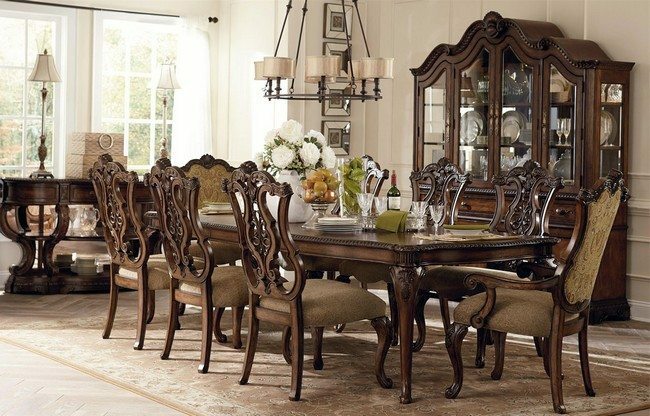 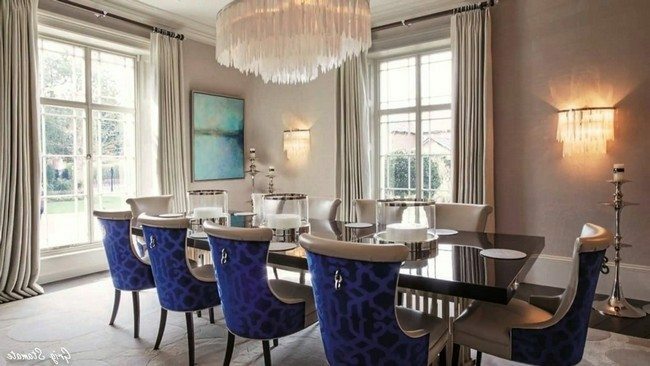 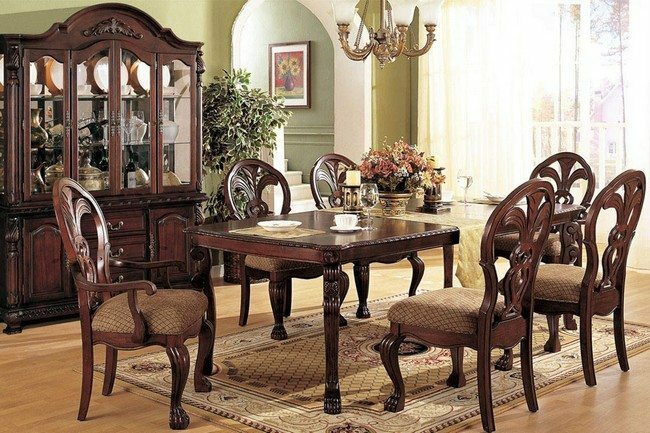 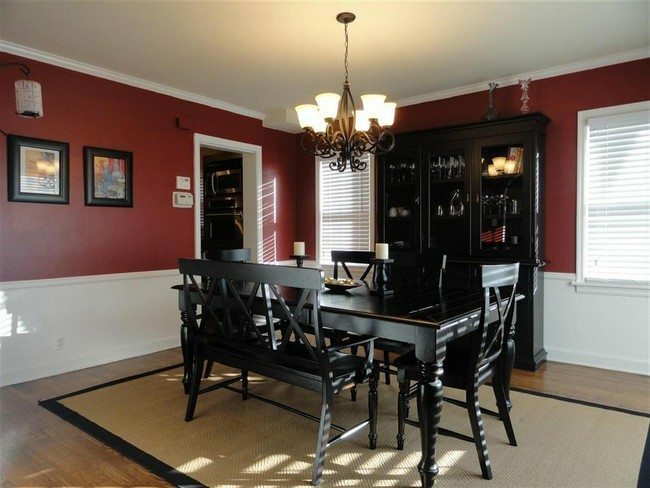 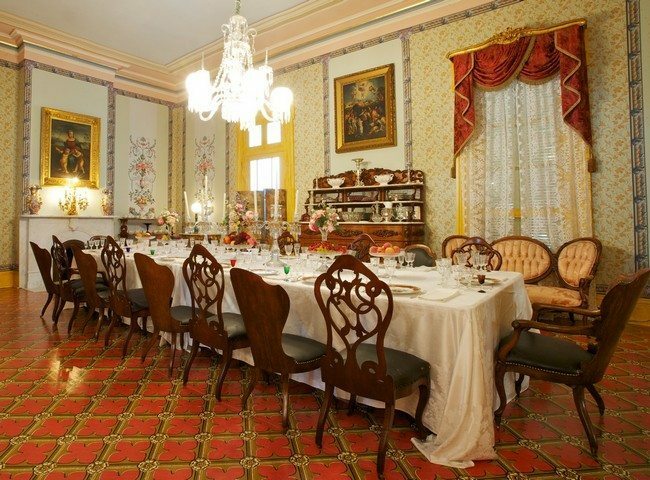 This dining room has formal furniture, with the dining chairs upholstered. 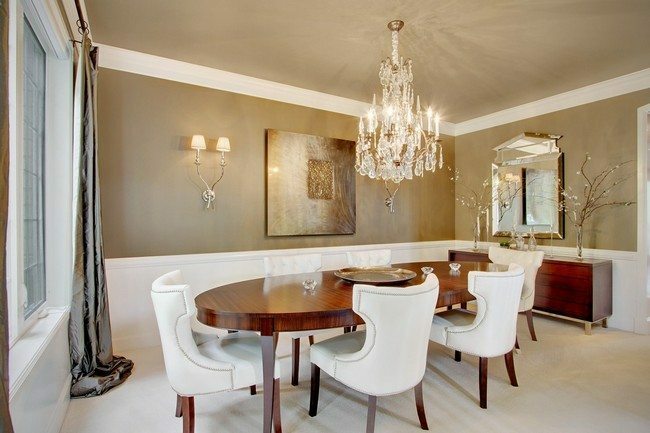 The white walls help add a delicate and relaxing tone to the room. 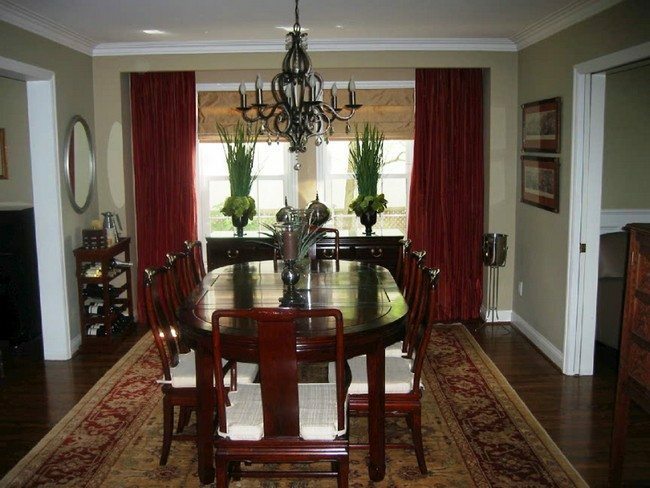 The sheer blinds and neutral-colored drapes also give the room an attractive look.